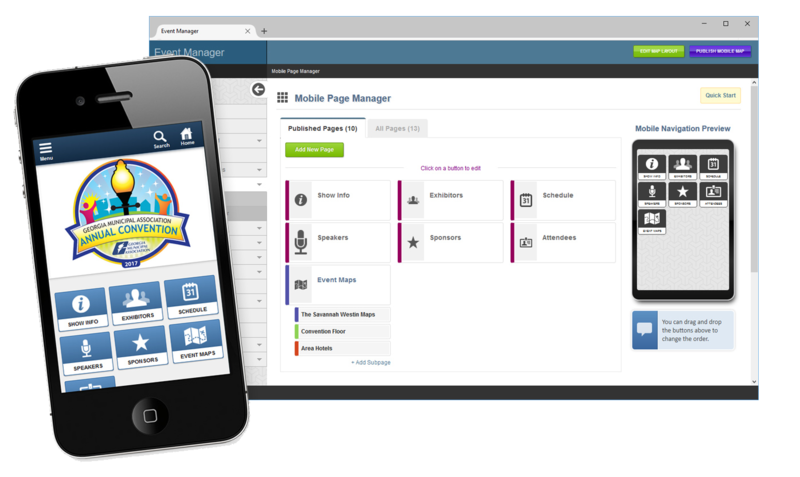 The mobile navigation manager gives you control over the functionality you want to provide on your mobile app for your attendees. Add, hide, change, or re-arrange the navigation . Add custom-content pages, internal, or external links. Build content pages (such as Silent Auction winners) but publish only when you're ready. Q: Will external links open within the app or redirect users? Users will be redirected outside of the app and the link will open in their default web browser. "Everyone loved the new system." "Map Dynamics has truly made my job easier as an Exhibit Manager"